Summary: From the author of Saving Juliet comes a romantic comedy that is good to the last drop. When Katrina spots a homeless guy sleeping in the alley behind her grandmother’s coffee shop, she decides to leave him a cup of coffee, a bag of chocolate-covered coffee beans, and some pastries to tide him over. Little does she know that this random act of kindness is about to turn her life upside down. Because this adorable vagrant, Malcolm, is really a guardian angel on a break between missions. And he won’t leave until he can reward Katrina’s selflessness by fulfilling her deepest desire. Now if only she could decide what that might be . . .
Ooh yes. Anything with coffee has to be awesome. Aww, this one sounds really cute! This so fun! Please enter me! Please enter me! This is another book I've been wanting to read badly. I like that the girl's name is Katrina 'cause it's almost my name Karina. Katrina is also what people call me when they don't know what my name is. Either Katrina or "Hey, little girl." I heard this one's cute! 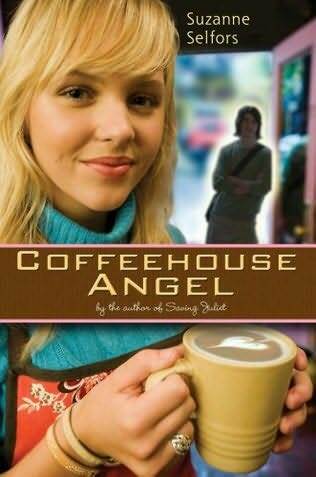 I love books about angels! I've been thinking about getting this. Heard a lot about this! sounds like a fun read. Please enter me. Such a cute novel! Enter me please!! I want to read this book! Please enter me! This one looks cute. Please enter me! omg this look so good! !